Click a link below to download the PDF, EPUB or Kindle/MOBI version of the Fall 2015 Baseball Research Journal, Vol. 44, No. 2, to your computer. 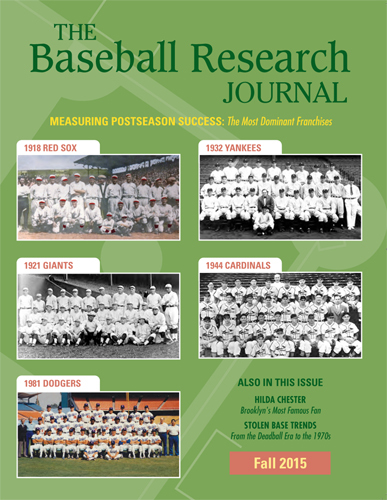 To read articles online from the Fall 2015 Baseball Research Journal, click here.